I know I know I said I would bring you the next part of Five have a Wonderful Time, 90s style, but today has gotten away with me, one way or another. I will however strive to get the post done tomorrow for the weekend! Anyway I’m bringing you a poem today about apples from The Enid Blyton Poetry Book. 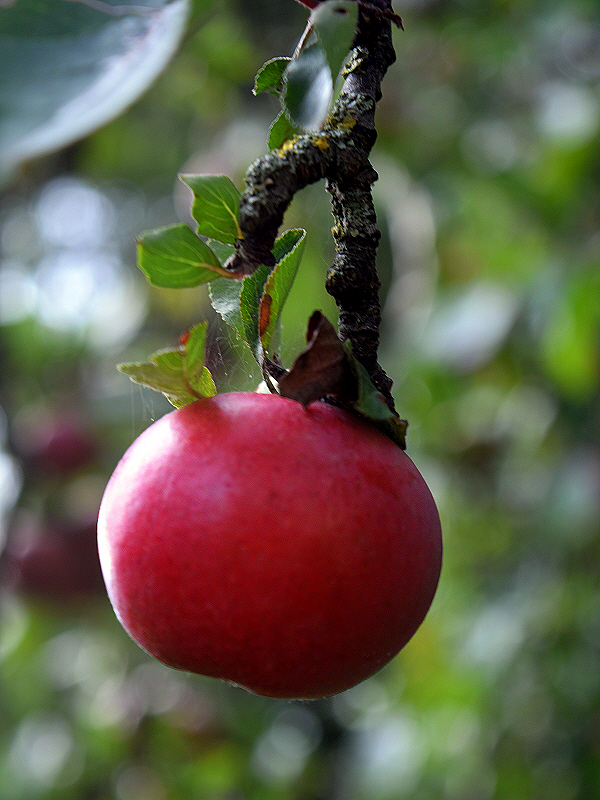 I decided on this poem over others because there are so many apples around at the moment, falling from wayside trees and leaving a plentiful bounty for those happy foragers to pick that I just had to share it! Apples in the apple-room, hundreds there and more! When the firelight flickers, how they wink and beam! Wondering why Cook has fetched her biggest baking-tin! Apples in an apple-pie, baked a golden brown. Apples in a dumpling, with a sugared crown. Apples raw and juicy, crisp and very sweet! And choose some lovely big ones from the store-room shelves! So there we are, doesn’t it make you want an apple right now? And does anyone know what an “apple room” is, as mentioned in line four? Is it just basically a pantry? Hope you enjoyed the poem and I shall try hard to get the review of Five have a Wonderful Time, 90s Style out to you next week! This entry was posted in Poetry and tagged The Apple Song, The Enid Blyton Poetry Book. Bookmark the permalink. I believe Blyton kept her apples in the space above the garage when they lived at Green Hedges. I’ve not heard of an “apple room” myself but I know people used to keep apples, pears and so on on the upper floors of barns (or indeed garages).